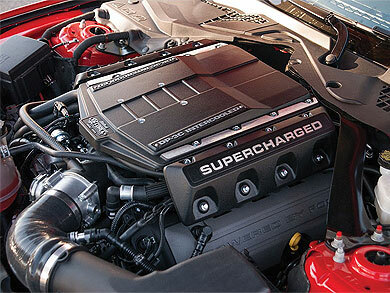 This system will increase the stock power up to 690 horsepower and 588 ft-lbs. of torque at the flywheel. That is a gain of 255 horsepower and 188 ft-lbs. of torque over stock! This new E-Force system features the DP-3C intercooler, which means ''Dual-Pass Three Core''. The design makes the intake air charge pass through the intercooler twice; first pass is from the rotors up through the center core and the second pass is when the air charge goes down into the runners. The intercooler also features 45% more surface area over our previous design, allowing the system to achieve lower intake air temps for improved performance. 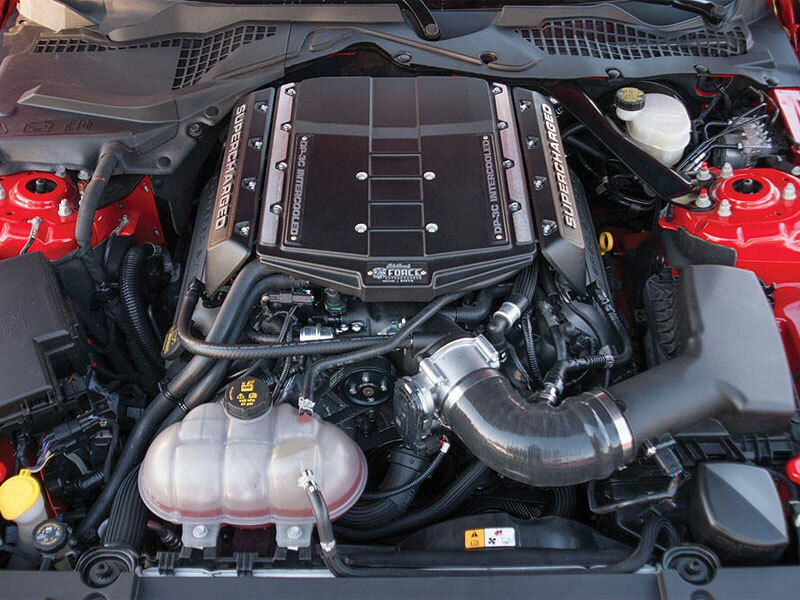 It is also the largest intercooler used by any manufacturer on the market right now. 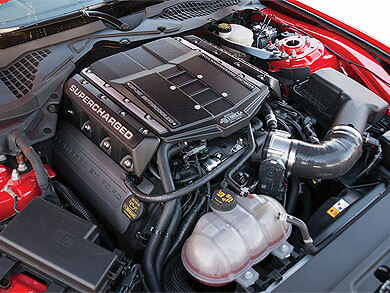 These supercharger systems feature an Eaton 2300 TVS rotor assembly, unique runner design and an integrated bypass valve that helps reduce parasitic loss under light throttle, which improves gas mileage potential. All of this technology fits under the stock hood without any modification. 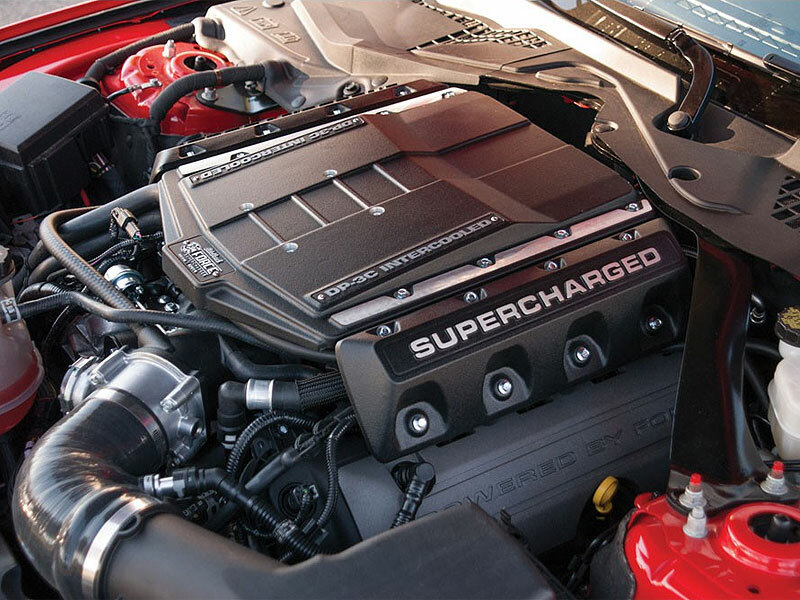 Edelbrock systems do not require K-brace cutting, fan shroud drilling and wire harness pinning which is common from other known supercharger manufacturers. Edelbrock systems are ''plug and play''. NOTE: Vechicle tuning required in 15860 and 158650 kits for a complete installation (not included).